They stand at the apex of the great age of songwriting, the creators of the classic Broadway musicals Oklahoma!, Carousel, South Pacific, The King and I, and The Sound of Music, whose songs have never lost their popularity or emotional power. 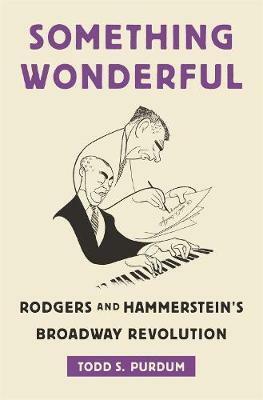 Even before they joined forces, Richard Rodgers and Oscar Hammerstein II had written dozens of Broadway shows, but together they pioneered a new art form: the serious musical play. Their songs and dance numbers served to advance the drama and reveal character, a sharp break from the past and the template on which all future musicals would be built. Though different in personality and often emotionally distant from each other, Rodgers and Hammerstein presented an unbroken front to the world and forged much more than a songwriting team; their partnership was also one of the most profitable and powerful entertainment businesses of their era. They were cultural powerhouses whose work came to define postwar America on stage, screen, television, and radio. But they also had their failures and flops, and more than once they feared they had lost their touch. Todd S. Purdum’s portrait of these two men, their creative process, and their groundbreaking innovations will captivate lovers of musical theater, lovers of the classic American songbook, and lovers in general. He shows that what Rodgers and Hammerstein wrought was truly something wonderful.